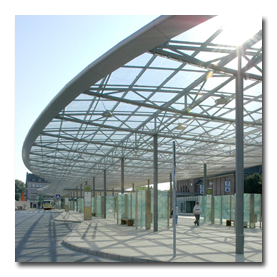 Wire cloth with a designated open area makes attractive and highly effective sun protection systems possible. Due to their design characteristics and their durability wire cloth from HBWF can be incorporated into almost any architectural concept. In this project Haver & Boecker developed a complete system including the design of the mesh with the architect, supplied ready-to-install panels and installed them. 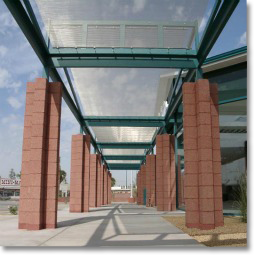 The ceiling construction provides pleasant temperatures, even in hot states like Arizona. 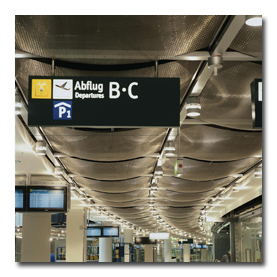 The wire cloth elements made from DOKAWELL-MONO 3001 reduce the temperature in comparison to area outside the canopy by up to 4 degree celsius. Haver & Boecker supplied ready-to-install panels for installation by the local contractor. The tensioning method is the Haver & Boecker system flat tension profile with clevis screws. The ceiling mounted sprinkler system is elegantly concealed behind non-combustible wire cloth elements, and at the same time is unimpaired in it's functions. 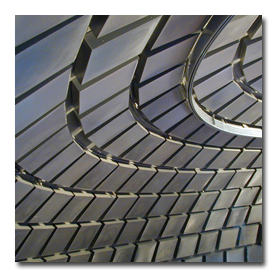 The wire cloth elements made from DOKAWELL-MONO 8965 cover an area of approximately 20,000 square meters. Each element was individually tested in our factory for uniform sagging. The unique fixing system uses slotted profiles and allows each individual element to be easily moved for access and maintenance work. 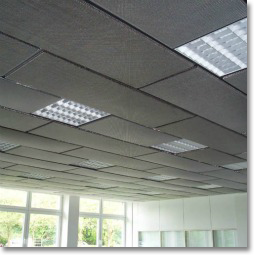 To enhance our very own staffroom, cassettes made from wire cloth type DOKA-MONO 1601 were inserted into a ceiling grid. The subframing consists of a standard system using T-profiles, which are coated in an anthracite colour. The wire cloth elements are bent twice by 90°.